The biggest Python programming language event in Brazil takes place October 17-22. Python Brazil’s goals are to spread the Python language, promote the exchange of experiences, and keep the community growing equally in public and social impact. This is a great opportunity to contribute to free software projects, participate in training. and acquire new knowledge. Toptal is proud to have two speakers participating in this event. Julio Cesar Eiras Melanda, a Toptal developer, will take the stage October 19th, 10:05am with his talk 2 years of remote work - the good and the bad. 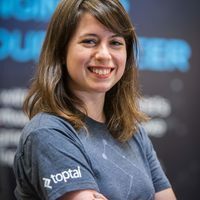 Also on October 19th at 4:10pm, Toptal developer Ivan Neto will present his talk titled The Ugly Duckling Developer: What a fairy tale can teach us about life, career, and writing better code.